Sometimes you need to Rainbow Loom. Recently, I was checking my daily step count on my fitness tracker and noticed something. 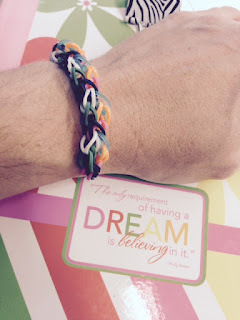 My wrist was lined in Rainbow Loom bracelets. Beautiful, colorful, plastic bracelets - created by son. My middle child. The one that craves so much from me. Time. And attention. He crafted all weekend and watched tutorials on how to make his creations. His behavior was great this weekend because we slowed down. And I took an interest in his projects and learned from him. I also realized that he is really good at giving helpful directions, advice and can be very patient and encouraging. Something that I had not noticed before. My short, stubby nails were painted purple and made me feel beautiful. I shared an experience with my oldest. After an intense fitness class, we grabbed coffee and got manicures over the weekend. Matching purple manicures. It wasn’t just the manicured nails that made me feel beautiful – it was the beautiful afternoon experience with my daughter. At almost thirteen, she isn’t afraid to hold my hand or call me “mommy” in public. And then my beautiful wedding ring. After a long, holiday weekend – I feel like my husband I became one again. Instead of being two parents living in the same household, making the day run smoothly, making sure that transportation was covered and that errands were complete – we were just us. We made eye contact instead of rushing from one task to the next. We had conversations. We smiled. And like that diamond on my finger, we had a sparkle in our eyes again. None of this happiness or beauty came from running or my business. Being motivated, organized and determined have been great qualities that I have collected over time. Running and my marathon training have contributed that. However these qualities can often cause me to push myself harder (too hard) and expect more out of myself - and life. I make myself move at a much faster pace than I should. Leaving no time for error. A marathon can seem like an eternity when you are in the middle of it – but in reality, it is over in a blink-of-an-eye. If I were to just slow down my pace - I could simply enjoy the course around me, thank the volunteers and avoid the side aches. 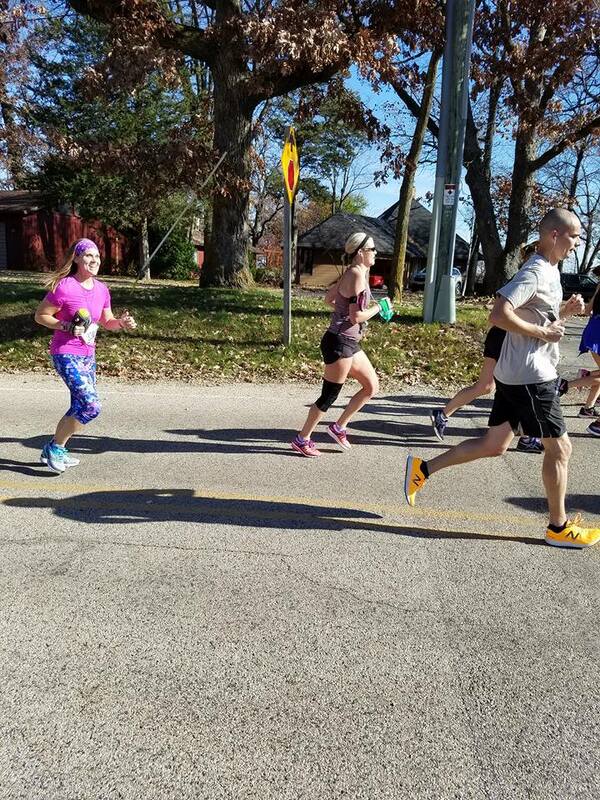 Instead of waiting to declare new year’s resolutions – I will commit NOW to staying motivated and pushing forward - but to walk through the water stations when needed and take out my earbuds to enjoy the support from those lining the race route. During the first weekend of November, I had an epic weekend of racing planned. I had done a full marathon in early October, followed by coaching a half marathon the weekend prior to this. However, all of my training was going to aid me in completing a half marathon this Saturday, followed by a full marathon on Sunday. 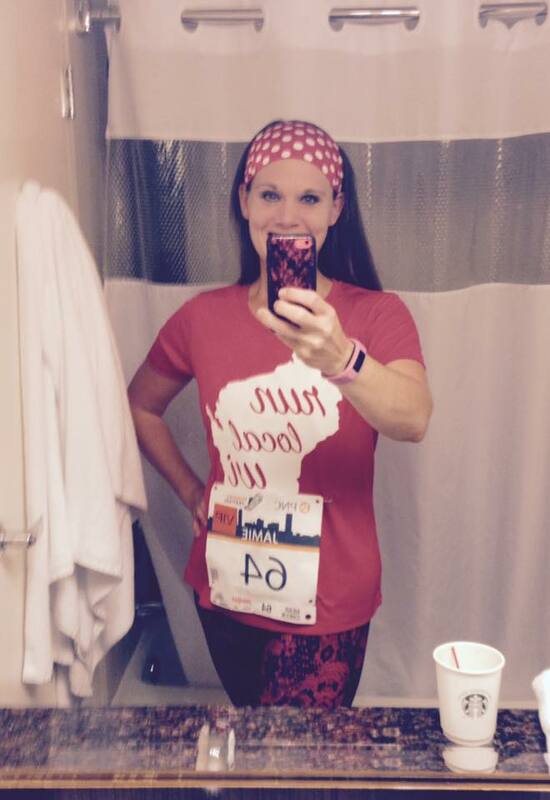 The half marathon was located half way between Madison and Milwaukee, in Lake Mills. The full marathon was located in Milwaukee. I was scheduled to complete the Tyranena Beer Run Half Marathon. I had completed this race previously, but it had been a few years. The race start time isn't until 11:30 am, which I find kind of difficult nutrition-wise. It's nice not having to get up at the crack of dawn. But I find it hard to know how to fuel my race - and when to do it. We drove with all of the kids to Lake Mills and picked up my packet on site. We were meeting my parents and my aunt, as they were going to spectate. I was so excited - it's always so nice to have friends and family there cheering you on. We also had all three kids in tow. They planned to pile into the Marathon Mommy Minivan to cheer me on around town. I was also planning on meeting up with Angela, my (third?) cousin. 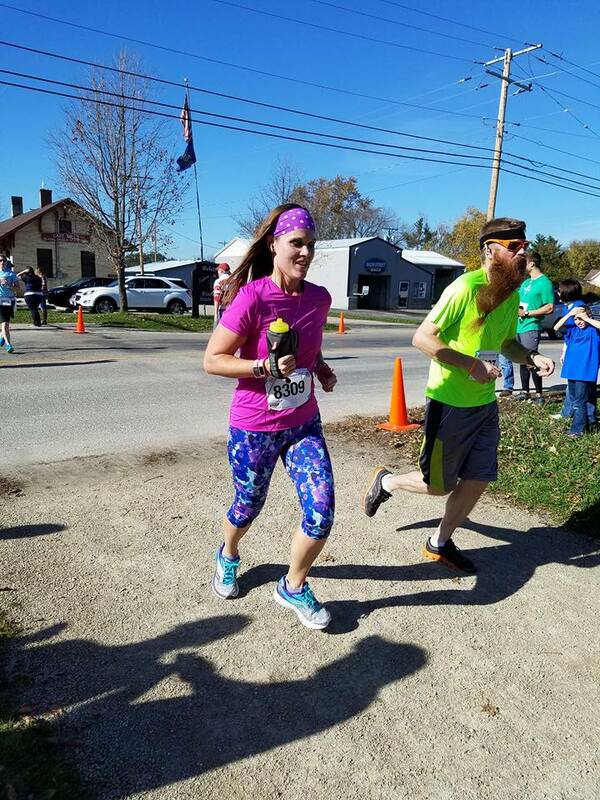 We had never ran at a race together, but though this would be a fun way to bring our families together. Unfortunately, her parents were fighting a sickness and she was nursing an injury. Angela and I ended up running the first couple of miles together, until we split-up at the first aid station. I found the aid stations a little chaotic and low on help. I felt bad for the volunteers as they tried to keep up with the demand of water and sports drink. We headed up the first monster of a hill and I was able to see my family off to the right. It was a nice little pick-me-up, as I was starting to loose some steam up the hill. I saw them again over and over throughout the course, through the countryside and along the Glacial Drumlin State Trail. They saw me several times. The course was a good mix of country/residential, flat, rural country roads and steep hills. And who can forget the beautiful Glacial Drumlin State Trail, covered with autumn leaves. The temperatures were hovering around sixty degrees - which is amazing this time of year. I actually wished I had worn a tank top like Angela . I continued to fuel with my handheld water bottle and sip on sports drink at each aid station. I also took a couple of gels along the way. I wasn't sure how to pace myself, but wanted to take it slow - since I had another 26 miles to run the following morning. Another thing that scared me, was that the half marathon started so late in the day. I wouldn't even have the same amount of recovery time, if the race had started early in the morning. I wanted to finish around 2:10 or so. My typical marathon finish is around 1:58. It was evident that I was knocking that out of the water as we finished the 10K point and I was way ahead of pace. I continued to do so for the second half. My least favorite part of this race is after you leave the trail and are welcomed with industrial park roads. I find it boring and long. But that's just a part of the whole process. During the last couple of miles, we crossed a busy highway that had absolutely no volunteers directing runners - or traffic. Cars were flying by at high speeds as we crossed from the right side of the road to the left. We then headed up our last incline, into a final residential neighborhood, and then the finish line. I ended up crossing the finish line in 2:00:00 - on the nose. I couldn't have done that if I had tried! I was way ahead of where I wanted to be. Which made me both happy and scared for the race that would follow tomorrow. I headed into a tent that was filled with all sorts of treats that I didn't take - just a few for my three children that were waiting for me on the other side of the tent, and a bottled water. I reunited with my family and saw some familiar faces. We waited around awhile to see Angela finish, but had to head out, because we had another packet pick up in Milwaukee to attend before 5:00 pm. 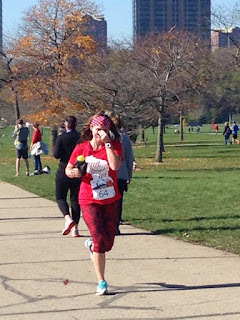 I ended up seeing her head into the finish, as we drove away in the marathon mommy minivan. I was bummed that we didn't get to enjoy the great after party atmosphere and free lasagna dinner. People also really rave about the free beer they offer. But there was no time for that today. We met up with my family at the Pine Cone truck stop in Johnson Creek. This is one of my kids' favorite places to stop and everyone enjoyed their meal. I had a grilled cheese and onion rings and enjoyed every bite. I was craving salt. I used the restroom to freshen up and change my clothes and put on some compression socks. We needed to be on the road by 3:30 in order to have enough time to comfortably get to the next packet pick up. We also picked up some baked goods to enjoy in our hotel room later that night in Milwaukee. 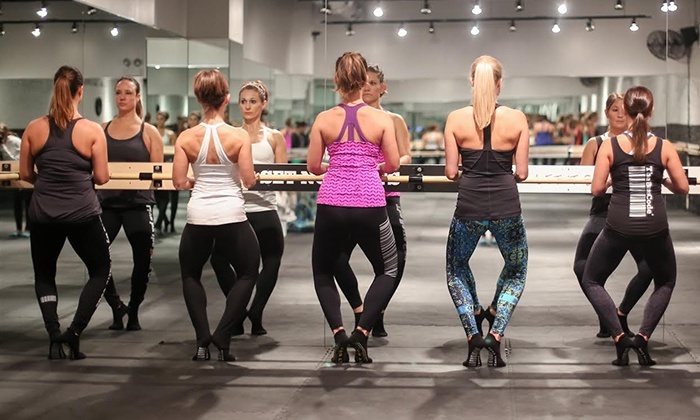 FREE thirty minute group run/walk outdoors with Running Diva Mom; followed by a FREE thirty minute barre class at The Barre Code Madison. Group run will leave from The Barre Code Madison. INTERESTED INDIVIDUALS ONLY - SPOTS ARE LIMITED TO 25 PARTICIPANTS. Are you struggling with exercise now that it's getting colder and darker? Are you worried that you are going t...o get off-track with your diet over the holiday season? Do you need a reboot on life, your diet and your fitness routine? 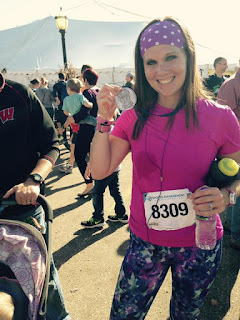 Join Running Diva Mom for a three week challenge to jump-start your fitness before the holidays! Each participant will set a daily goal to log at least 10,000 steps per day (running or walking). Participants will receive a twenty-one day workout schedule and challenges to complete with their activity tracker or smart phone. Participants will also receive weekly healthy recipes to keep them on track with their meals. Gain motivation from our private Facebook group. Runners and walkers welcome. No experience necessary. 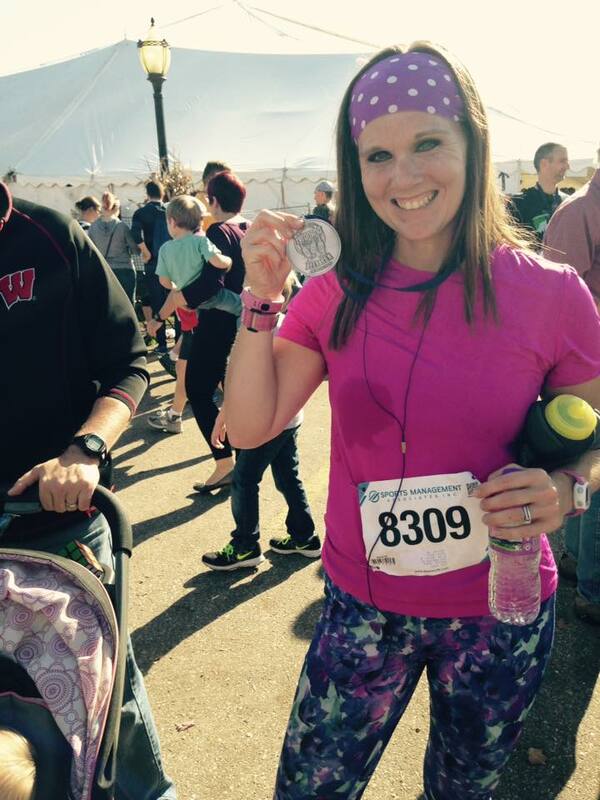 Participants will submit their weekly weigh-ins with Running Diva Mom as their personal coach. Participants will strive to maintain their weight over the three week period and develop healthy habits; any weight lost will be an added bonus! $30 to register. 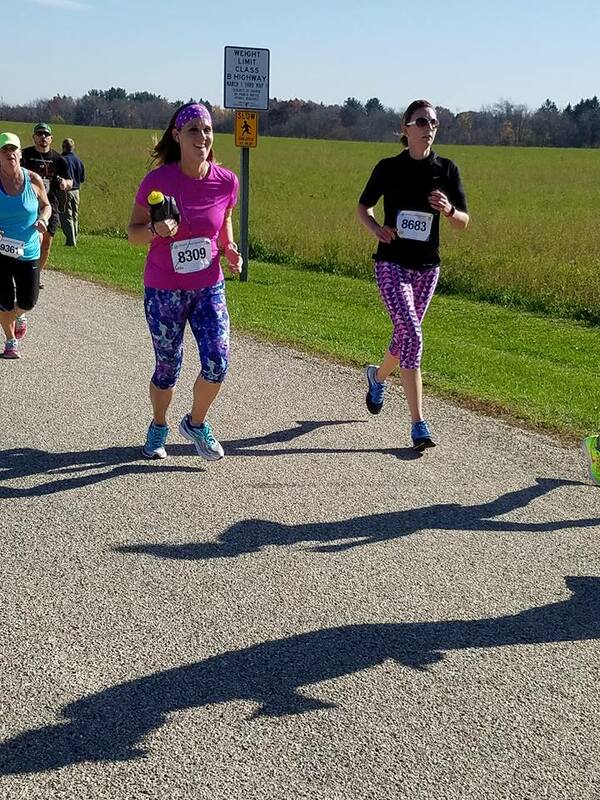 Participants that complete each of their virtual weigh-ins will be entered into a drawing for a free one-hour session at Running Diva Mom Studio in Sun Prairie. Please contact me if you would like to pay by personal check. After completing the Tyranena Beer Run Half Marathon on Saturday afternoon, we headed to Milwaukee to pick up my packet for the Milwaukee Running Festival Full Marathon, scheduled for Sunday morning. We picked up my packet at the Harley Davidson Museum around 4:30, before they closed at 5pm. Packet pick up was a breeze, I was given the choice of a baseball gap or fleece hat to go with my nice long-sleeve MRF technical shirt, too. I did a little shopping and treated myself at the Minerva booth as well. We browsed the Harley Davidson gift shop and then checked in at our hotel in downtown Milwaukee. We were staying at the host hotel, because there were shuttles going to and from the startline the next morning. After lugging three kids, luggage and a stroller on multiple levels, elevators and walkways, we were finally in our teeny-tiny hotel room. We were bummed that the hotel didn't have a pool, so we just enjoyed cable tv in the room and relaxed. We ordered pizza and breadsticks for dinner. The older two walked the halls and played games in the lobby while my husband got Baby Diva to sleep in the hotel room. We went to bed super early because we had to keep the room quiet for the baby and I would be getting up around 4:30 for the race. We were also scheduled to set the clock back for daylight savings. My nerves were a little on edge that night. My legs were also restless from my half marathon that day and my hamstrings were bothering me. I slept in my compression socks and kept rolling them out. We forgot our pack and play, so the baby slept in between us. I went back and forth between the two hotel beds, to see which was most comfortable. I didn't sleep much because of that and my nerves. I was up around 4am before my alarm. I had packed my standard english muffin and peanut butter. There was no way to toast it this time, so I sat in the bathroom and ate my untoasted breakfast off of a washcloth and surfed Facebook while I got ready for my race. I drank water and enjoyed a yogurt while consuming a cup of hotel coffee. I planned to be in the hotel lobby by 5:45 before the last shuttle at 6:00 am. The marathon was to start at 7:00 am. There was also a half marathon that morning. Other races were completed on Saturday. I arrived on the shuttle and sat in an over-heated bus and shared a seat with a gal from New York. Traffic was backed up, so we caught up on races and training over the next thirty minutes. After wishing each other well, we split our ways and headed towards the port-o-potties. Everyone was stopped with their cameras out (I didn't have mine.). They were taking photos of the amazing sunrise, as the sun crept up from over Lake Michigan. It was absolutely beautiful and I have never witnessed a sunrise like that. I stood in a shortish line and made my honorary stop to the restroom then stopped by the medical tent to see if they had blister bandaids. The sides of my feet were slightly blistered from yesterday's half marathon. They didn't have any, so I decided to skip using a regular bandaids and headed to the startline. I quickly saw fellow blogger, Kayla and her husband in the corral. We hugged and caught up a bit before the National Anthem was sung. I was immediately surprised by the low amount of runners in the corral. I was thinking there would be full marathoners. But, obviously the half marathon was more popular. I was worried that I would feel isolated out on the course, but it didn't really end up being that way. I don't like feeling like you are out on a training run during a race. There ended up being just under 700 full marathoners. My friend, Bill, was doing announcements and there was a delay in starting the race, due to officials having trouble with some of the surrounding road closures. Bill did a great job keeping us informed and our nerves at bay for a few minutes. He even gave me a shout out regarding my half marathon they day before. Soon, we were off along the Lakeshore, heading up the hill that I ran my last couple of miles down during Lakefront Marathon the month prior. My goal was to run between a 4:30 and a 4:45. I had absolutely no clue what to expect after running 13.1 miles the day before - and my hamstrings were really bothering me. The first two miles were off - one long and one sort. So I didn't really know what pace I was on - but I was running with the 4:10 pace group - a bunch of guys. I have a love/hate relationship with pace groups. I ran ahead and behind this pace group for the first half marathon of the race. A few miles in, we met up with a sea of runners - the late pack of the half marathoners, coming to join us on the course. The streets became more crowded and competitive. Since this was the later part of the pack, I was passing people left and right as I took my first energy gel. Both gave me a boost of energy. I felt myself speeding up, but paced myself due to the unknown variables ahead of me. We ran through some great crowds, which reminded me of a mini Chicago Marathon atmosphere. It was a great crowd. I really loved running over and under bridges in this one area of town, and through the swing park. These little areas made me realize how cool Milwaukee really is. 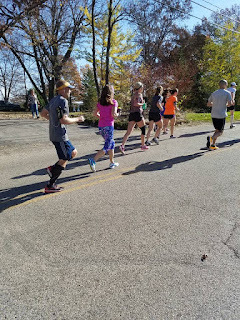 We looped around our hotel around mile 7 or 8 and I was able to see my family from the sidelines with their Starbuck's in hand - the only time that I would see them during the race. They were going to walk the 1.5-2 miles to the finish line to see me there. The weather was starting to warm up and I heard someone say that they changed the forecast to around 70 degrees. I still felt very comfortable. The sun was out and the morning was beautiful. We headed out towards and out-and-back portion of the course for the half marathoners. It was distracting to see all of their pace groups coming back on the other side. The crowd support and water stations were great here. Eventually we half marathons just kept going straight and didn't round that last orange cone. There were VERY few marathoners at this point and I did start to feel alone, but soon a friendly face said hi, as Kelly from Fleet Feet Sports in Sun Prairie, passed me. We joked that I would see him later as he slowed down towards the end of the race. We ventured onward through residential neighborhoods and really nice park, where we meandered the park trail and then another neighborhood again. Kelly was in site the whole time. I also saw Pete from Fleet Feet along the sidelines, who was cheering Kelly on. Kelly and I ended up going back and forth a couple of times and running together for a little bit around the half marathon point. There was a nice drumline at this point too, to boost spirits. Around the half marathon point, the 4:10 pace group passed us and I couldn't keep up. They moved forward and I never reunited with them again. It was ok, because I was already WAY head of my expected pace. I didn't know if this would hurt me, because there were still 13 miles to go in the morning. I soon saw a couple running with a jogging stroller. I thought it was awesome, but were surprised that they were allowed at the race (usually they aren't). I quickly recalled all of my training runs this year with easy-going Baby Diva. I also later learned that a dog finished the marathon, as well, with its owner. Another great thing that makes this race really unique. We looped back through the residential neighborhood and the park trail and onto some long rolling hills. We looped past the Miller Brewer and that was a fun distraction, and later meandered up some longer hills behind the Miller Park Stadium, where the Milwaukee Brewers play. I was still keeping up with my pace. I took energy chews at the startline and took my own gels at miles 5, 10, 15, and 20. I didn't take my last gel that I had with me. I consumed and filled water in my handheld water bottle and also took sports drink at every water station that I passed. My least favorite parts of a marathon are miles 16-19 and miles 22-24. 16-19 was kind of boring with this one, but I never got out of my rhythm and the new scenery kept it new enough to keep my mind busy. Miles 22-24 were great for me. I never hit the dreaded "wall" during my race either - something that most long-distance runners experience around mile 20. My watch was about .6 miles off during the whole course. It was kind of deflating (ok, REALLY deflating) seeing my watch approach 20 miles or 22 miles and really only being at mile 19.4 or 21.4. It may not seem like much to some. But when you are that late into a long race, every tenth of a mile is a mental game with yourself. I just kept moving forward and putting once foot in front of the other. I heard all of my verbal tips and mantras that I use with my clients - and I used them on myself. Overall, I still felt really great and was nursing that hamstring a little bit. They were both tight. I exchanged conversation with a few runners at this point, who also confirmed that their watches were tracking the course quite long. We soon joined the Hank Aaron State Trail. The sun was starting to beat down. I passed several runners the next few miles and many were walking and I saw one guy throwing up along the trail. There was a large group cheering us on at a popular spot, since it would be a short back and route on the trail. I saw Pete here again and Kelly was right behind me. We later learned that a cone in this area was kicked off into the brush. So some of the early runners kept going and ran a mile or so long. We also later learned that the course was indeed long. The MRF really handled the whole situation very well and classy. They kept us informed, addressed things, took responsibility and adjusted our finishing times accordingly after lots of consultation with others. I was very happy to be a part of this great race. At mile 20, I felt a huge victory had been accomplished. 20 miles is always a huge milestone. So many miles behind me. But I still had energy. Even after a pretty quick half marathon the day before. Unfortunately, my watch said 20.62 miles when I saw the mile marker. We continued along the trail and over some interesting path and rolling hills. Pete was running with Kelly up ahead of me. Pete and other spectators were dressed in long layers and stocking caps from the early morning and it was making me feel hot. The temps were rising. I passed a young couple who were bickering over why the heck they signed up to run this distance. I chuckled a little inside as she mentally threw in the towel and he told her to just be quiet and finish the race. They were obviously in different races at this point. As we ran up the hill onto the bridge tears were brought to my eyes. This was the most interesting and beautiful view of gritty-Milwaukee that I’ve ever witnessed. This had to be a popular observation area for locals, I thought to myself. It was amazing. I saw all areas of Milwaukee all around me, including Lake Michigan on the horizon. Chills covered my arms and the tears collected in my eyes. We ran over the bridge and then onto a path in another park. I passed Kelly and Pete as we entered a small football stadium. We lapped around the edge of the football stadium and then back out onto residential streets. I never saw the familiar faces again after that. I sensed that we were heading towards the Lakefront as I had only a few miles to go. Spectators were enjoying brunch and bloody marys at quaint restaurants and local brew pubs. Volunteers and emergency professionals clapped and smiled onward as they enjoyed the beautiful morning. We ran the spiral down ramp under a bridge and I felt a surge of energy as I passed a couple runners (men) and then ran on nice flat path near the Harley Davidson Museum. 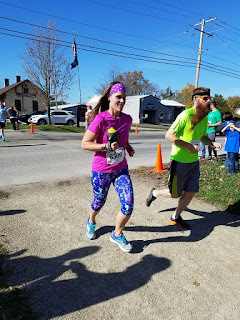 I knew that with the last couple of miles ahead of me that I was going to do this – and that I was going to knock my time goals out of the park. We headed along the Summerfest Grounds and then looped around the edge of the Art museum. The views of the water were breathtaking and intense. I tried to relax my upper-body as I felt myself hunching over. Spectators and tourists were walking the path along the lake, enjoying treats and riding bikes. They were out on a casual walk or hike. Runners were out on their Sunday morning three mile loop. I was running a marathon – fourty miles in one weekend. I couldn’t wrap my head around it. I ran through the last water station and grabbed some sports drink for one final boost. The bike path was nearing the finish line. I saw my family cheering and the kids jumping up and down. Smiling, excited faces. They had spectated for so many hours themselves that weekend and my husband navigated with three kids in tow. I was moved. I was brought to tears. I couldn’t control myself. I thought to myself that I DID THIS. I DID IT. I CAN’T BELIEVE IT. OH WAIT, YES I CAN – BECAUSE I HAD A PLAN – AND I COMMITTED. ANYTHING IS POSSIBLE. WOW. I made one final turn. My daughter was snapping photos with my phone and both the kids were sprinting through the field towards the finish line. My friend, Bill who was still announcing, announced my name and my new running studio. The kids kept yelling “Go Mommy”. My watch was approaching 4:17 and I grabbed every last bit of energy I had and sprinted (in my own terms!) towards the finish line. I crossed with 4:17 and some change. After the race times were adjusted, my time was listed at 4:12. I couldn’t believe it. I grabbed some quick snacks for the kids and myself. But, I really enjoyed drinking my cold chocolate milk and a bottle of water. I hugged the kids and my husband and reminisced on the amazing morning and beautiful weather. Then we walked the 1.5-2 miles back to our hotel to drive home. I felt great and I was not very sore later that day or the days that followed. I had been pretty miserable at my marathon five weeks prior and had restless legs for several days. Not this time. I think my body was prepared, ready and that the long walk and lots of stretching and rolling of my legs afterwards really aided in my recovery. I’ve mentioned that this marathon was my favorite race and event to date. In eleven years, more than fifty half marathons and eleven full marathons, this one was my favorite. It will be hard to top. I proudly served as an ambassador and loved (almost) every minute of the marathon. I will definitely be back and have encouraged my husband and friends to join me. If you are from the Midwest, this race should definitely be on your list. I can’t guarantee that there will always be such beautiful weather in early-November – but I can promise a great route, amazing volunteers and well-run event. Even despite the cone issue and the long course, I am impressed. 60,347 steps and 32 miles - my highest step count EVER!